How fragmentation is impacting your digital advertising. No matter the type of business you’re in, you’re battling to find the best way to embrace the digital world. 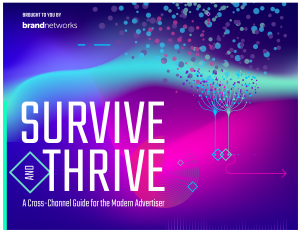 With increasing competition, noise, and standards for personalized customer experiences, a scalable digital advertising strategy across channels is a must. A cross-channel digital strategy is the only way to get you there. The 5 pillars of a cross-channel strategy. 3 things preventing you from a cross-channel state.